Everyone is having a great time now that we are in the year 2015. The future that Doc and Marty visit in Back to the Future Part II is here. The time is now! The Cubs are on the path to the World Series. Heck, even Pepsi Perfect bottles are a thing now. And I swear I saw old Biff on TV last night. Wait. That may have been Donald Trump. Hmmm. That might explain some things. 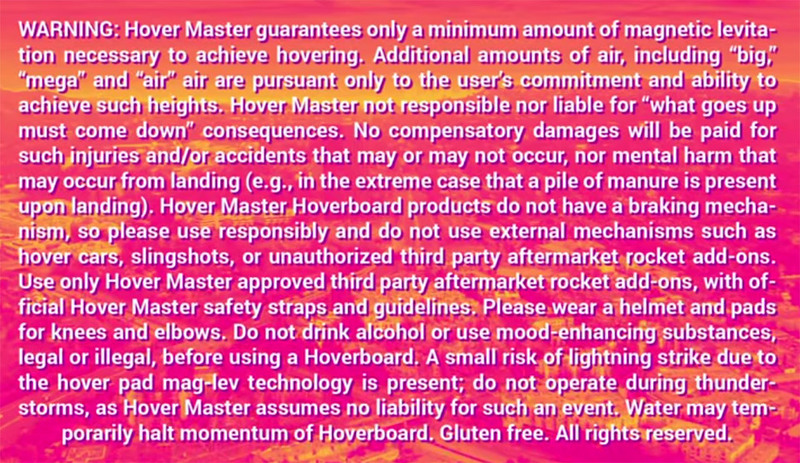 Well, now we have an official commercial for a Hoverboard. 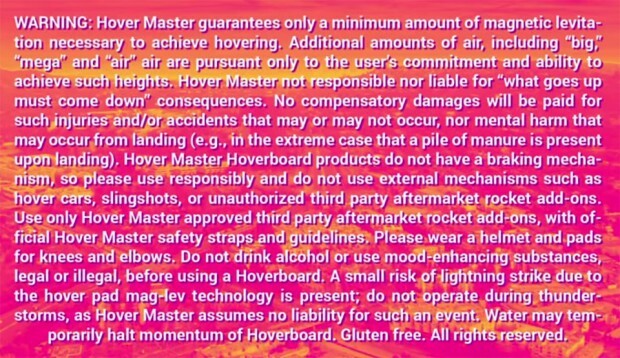 Check out the video featuring a cool future skating dude showing off his Hover Master (not Mattel?) Hover Board. He’s wearing the Nike MAGs and the hat Doc gave Marty to wear in the future. This guy is so future awesome, I want to be him. I’ve seen the commercial. Now where can I buy one?